WWE typically makes major changes to its programming after WrestleMania each year, but SummerSlam has become a time and place where the company hits a soft reset as well. While WWE's TV viewership always peaks during WrestleMania season, SummerSlam is a close second. The 2016 post-SummerSlam episode of Raw averaged more than 3.3 million viewers while the 2017 post-PPV show averaged 3.4 million viewers, nearly a million viewers more than the show's recent 25-year low. WWE knows that its viewership peaks right around SummerSlam and then drops consistently over the next several months when competition from Monday Night Football and other hit shows take a big bite out of its audience. Because interest in the WWE product is higher than usual immediately before and after the "biggest party of the summer," we often see the company make a number of substantial adjustments to its programming, its roster and its superstars. In 2017, we saw former NXT Champion Bobby Roode get called up to SmackDown as one of the biggest moves of the summer (although in hindsight it didn't work out that well), and in 2018, we've already seen WWE unleash Randy Orton as a despicable heel on the blue brand. Orton's turn, however, is only the beginning. With WWE looking to increase interest in its product at a time when the competition will be fierce and even the most diehard WWE fans will need a good reason to consistently tune in to Raw or SmackDown, look for the company to make a number of wholesale adjustments to its product that will drastically affect it moving forward. Here are five major changes WWE will make at and after SummerSlam. There is still no definitive word on Daniel Bryan's WWE future. Although Bryan has said that he will likely re-sign with the company and Fightful's Sean Ross Sapp has said Bryan has signed a new contract, that has yet to be confirmed, and indeed, the booking of Bryan suggests otherwise. WWE has reportedly been booking Bryan as if he's going to leave the company, which explains why he is feuding with The Miz at SummerSlam when many thought that feud might be extended to WrestleMania 35. Bryan is advertised for big live events in both October and December, but he wants to work a part-time schedule, which is something WWE may not be willing to let him do. If WWE remains hesitant to let Bryan work considerably fewer dates, then he may be as good as gone. In all likelihood, though, we will have a very clear indication of what Bryan's plans are at SummerSlam and during the following week's episode of SmackDown, when the outcome of his match with The Miz and the followup to it should let fans know where or not he is leaving. Of course, it makes no sense for WWE to have Bryan beat The Miz if Bryan isn't staying, and it also is unlikely that WWE would put Bryan over Miz to give him momentum leading up to his departure and presumed return to the indies. What's more likely is that The Miz will soundly defeat Bryan if the latter is on his way out, and given some of the surprising losses Bryan has had thus far, it wouldn't be a shocker to see WWE ensure that Bryan's momentum is halted as he makes his exit. Thus, logic says SummerSlam will be the start of one of two things: Bryan being catapulted up the card and back to the main event, or Bryan being "buried" as his current WWE run comes to an end. And with the latest report stating that WWE is "upset with Bryan" because he hasn't re-signed, don't be shocked if it's the latter. Extreme Rules marked the return of one top star in Orton, but there are several other WWE names who have been linked to upcoming returns. Dean Ambrose is slated to be back in September. Jason Jordan was once reported to be due back at any moment now, though that may have changed. Meanwhile, The Undertaker and John Cena have both been linked to potential comebacks in the near future, and Cena is slated to return at a live event in China and also wrestle Kevin Owens at the Super Show-Down special event in Australia in October. Rey Mysterio is also reportedly close to reaching a new contract with the company that would see him back in the ring at some point over the next couple of months. Although WWE does not currently have an issue with a lack of talent (other than on the heel side of Raw), it certainly won't hurt the company to get an influx of star power to help combat the fall TV competition. Cena, in particular, is a massive draw while the buzz and strong YouTube buzz generated by Rey Mysterio's Royal Rumble return indicates he could be as well. If booked right, the additions of Ambrose and Jordan could also provide a major boost to Raw, which desperately needs another top heel or two, and even one or two pay-per-view matches from The Undertaker would give either Raw or SmackDown a marquee draw to utilize in the short term. Of course, WWE can't simply expect the additions of these stars to immediately improve the product, however. It's all about the creative team using these stars in a way that benefits their brands. The good thing is: WWE should have multiple chances to try to get things right as a handful of stars appear to be on their way back to TV for the post-SummerSlam season. AJ Styles, who previously held the WWE Championship for 140 days, is approaching 300 days during his current WWE title reign, an impressive feat for a star many never expected to see hold that belt. Wrestling Observer Radio (h/t Ringside News) reported last month that WWE has kept the title on Styles as a marketing strategy because "The Phenomenal One" is on the cover of WWE 2K19, with the idea being that the video game's cover star needed to be holding the title when he was first revealed as the centerpiece of the latest video game installment. Given that the game will not be released until Oct. 9, one would think WWE may want to keep the WWE Championship on Styles until then, and indeed, Styles vs. Samoa Joe for the WWE Championship is advertised for Hell in a Cell in September, indicating that feud will continue beyond SummerSlam. That doesn't necessarily indicate that Styles will still be WWE Champion at that time, however, and the widespread speculation is that Styles' impressive WWE title reason is coming to an end. Certainly, Styles' reign has worked wonders in terms of making him a credible champion, top star and perhaps even WWE's No. 2 merchandise mover, but he's held the title so long at this point that he wouldn't be hurt in the slightest by dropping the belt to one of SmackDown's best heels in the near future. In fact, it would benefit WWE tremendously for the popular Styles to drop the title to a rising heel like Samoa Joe or The Miz, who could certainly use "the rub" that would come along with defeating the longest reigning WWE Champion since 2013. 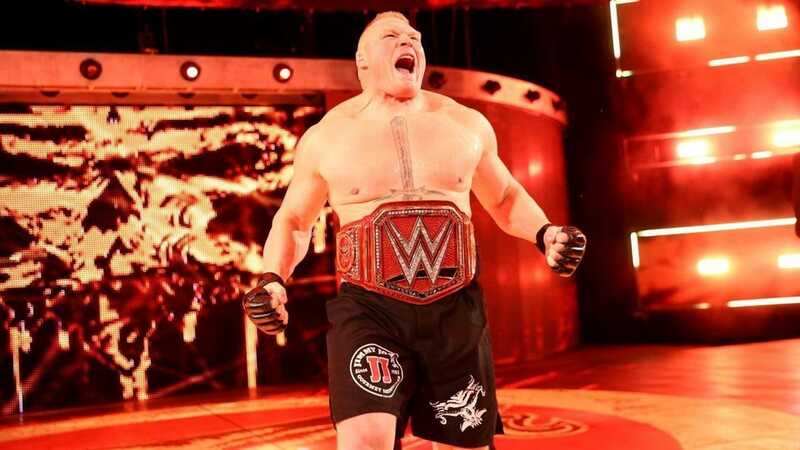 Styles, after all, is unlikely to hold the WWE Championship for as long as Brock Lesnar has held the Universal title, so it's safe to assume that he'll be losing it within the next few months. Early betting odds suggest he'll lose it to Joe at SummerSlam. That will mark a major change for Styles, who has been the face of the blue brand and its WWE Champion for much of his two-year run there and may take a step back if he loses the title so that a talented heel can get a push as the centerpiece of SmackDown. Brock Lesnar will defend the Universal title against Roman Reigns at SummerSlam and is advertised for Raw the following night, but he isn't advertised for any more WWE appearances after that, indicating he may be leaving WWE as he prepares to return to UFC. There has been a plethora of conflicting reports about exactly what Lesnar's future holds, but many of those reports indicate that his current contract ends in August and that he has yet to sign a new deal with the company. That would lead you to believe that one of two things will go down at SummerSlam: Lesnar will finally drop the Universal Championship, or he will retain his championship and disappear until WWE can decide what to do with its absentee world champion, as a recent report indicates he wants to work for both WWE and UFC moving forward. The former scenario seems like a more likely option, however, as the time is right for Lesnar to lose the Universal Championship that he has held hostage for the last 16 months. Although Lesnar would make for a fine Universal Champion if he was around consistently enough to make the title matter, his frequent absences have been detrimental to Raw, which has been a directionless and lackluster show during the reign of "The Beast" because its top stars have had no title to pursue. With Lesnar not really proving to be a massive TV ratings or WWE Network draw and WWE continuously focusing on building up its brand rather than individual superstars, the loss of Lesnar wouldn't affect WWE nearly as much as you might expect at a time when the company has one of its most talented rosters in history. While some fans would not be surprised at all if Lesnar's reign of terror somehow continued at SummerSlam, the widespread consensus is that it must come to an end ASAP. All signs are pointing to just that happening in Brooklyn, which means Raw will look much different after SummerSlam than it does right now. The fact that Braun Strowman did not step up as a possible Universal Championship contender prior to SummerSlam suggests one thing: He's about to win it anyway. 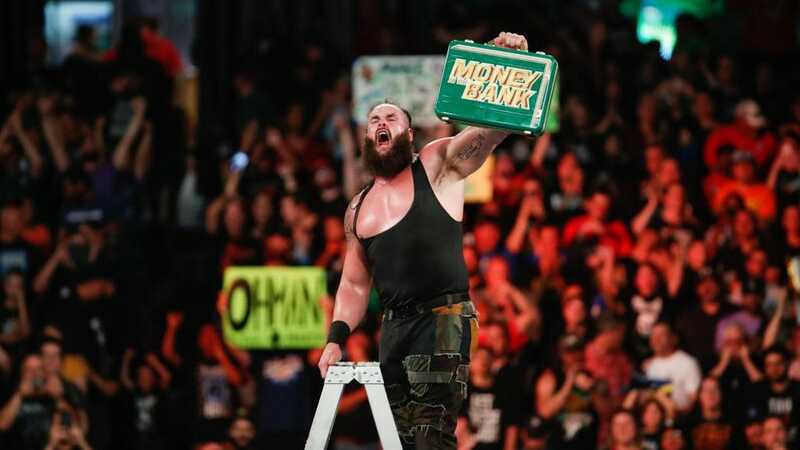 There is, after all, plenty of speculation that Strowman is going to cash in his Money in the Bank briefcase at SummerSlam on either Reigns or Lesnar to win the Universal title for the first time in his career. 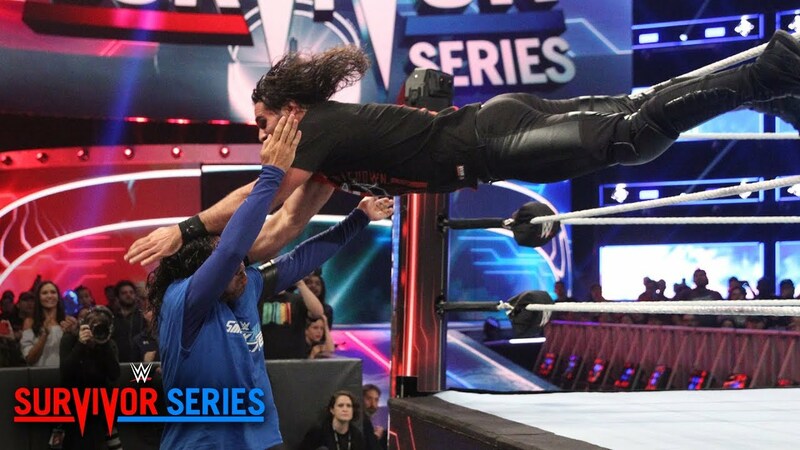 Along with Seth Rollins, Strowman is the hottest act on Raw and has been for much of 2018, when he's asserted himself as one of WWE's biggest attractions as well. According to F4WOnline.com, Strowman main evented a whopping 12 events that had at least 10,000 fans last year (more than any other superstar), and he's also proven to be a top merchandise mover and an elite YouTube draw, demonstrating that his push has worked. As Strowman continues to generating roof-rattling crowd reactions, there's no reason why he shouldn't be Universal Champion in the near future, possibly as soon as SummerSlam. Simply put, WWE can't spend another fall without a world champion on Raw, so putting the Universal title on a proven draw and capable fan favorite in Strowman is a logical move that would both solve the Lesnar conundrum and ensure Raw's top champion is someone who fans want to see holding the strap. Strowman does not fit the bill as someone who needs to hold the Money in the Bank briefcase for an extended period. Rather, he should be a brief MITB holder who capitalizes on a golden opportunity when the moment is right. That moment probably will come at SummerSlam, but if it doesn't, it shouldn't be long afterward that WWE finally pulls the trigger on Strowman and gives him a chance to carry WWE's flagship brand as its top champion. After all, there certainly are worse choices to run Raw, aren't there?